Light up your ride with the all NEW Maxi Deluxe LED! 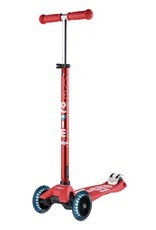 The Maxi Deluxe scooter takes scooting to the next level. 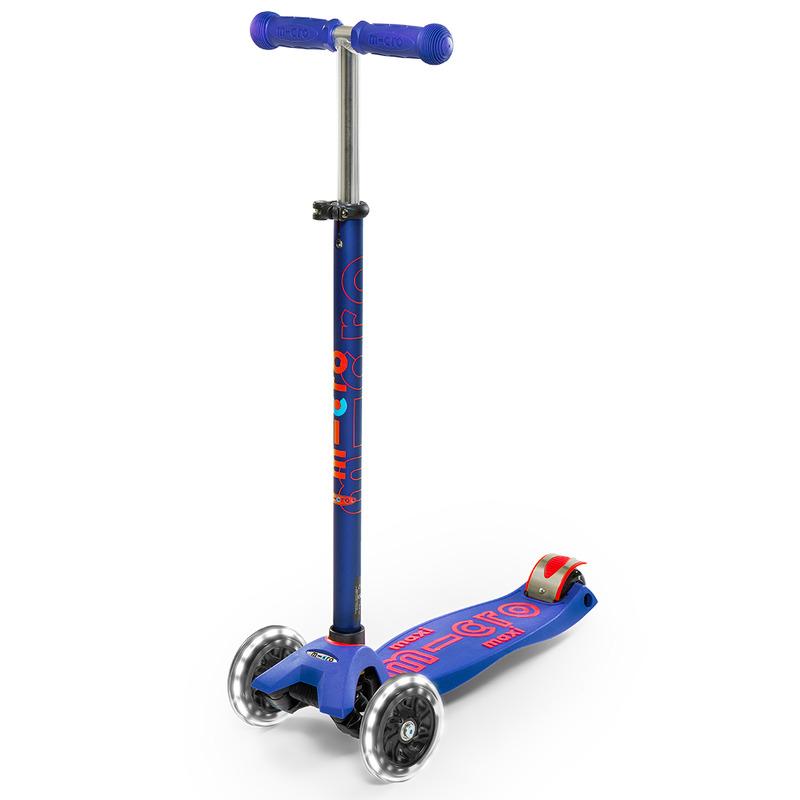 This deluxe version has an anodized stem for extra protection against wear and tear, a unique, silicone-injected footplate for improved grip, and an adjustable T-bar, meaning that as your child grows, their Maxi Deluxe will grow with them. 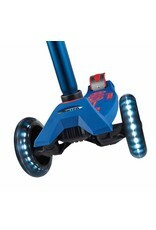 LED wheels are motion activated, needing no batteries. 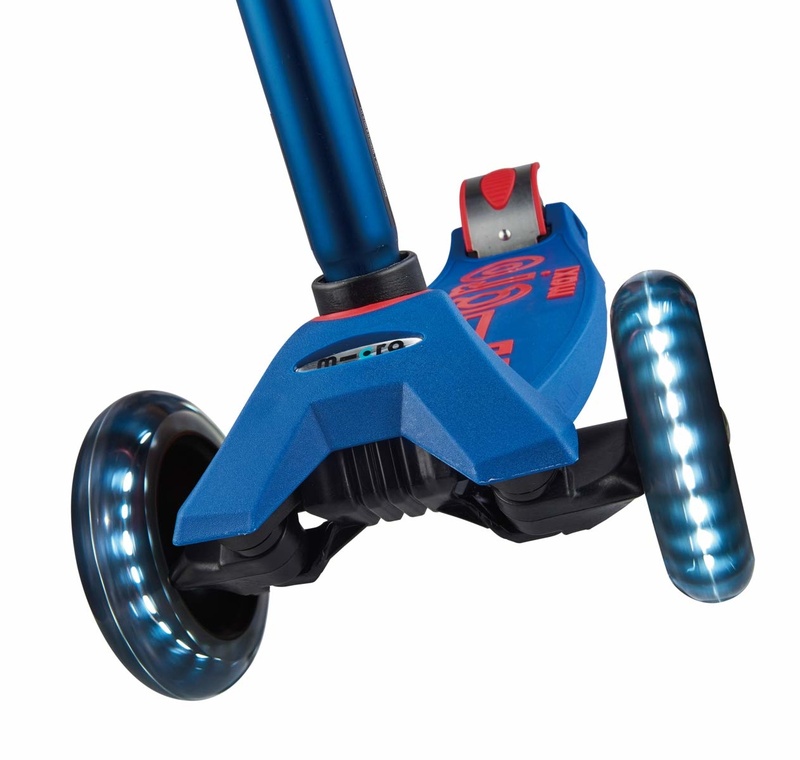 Thick polyurethane wheels and a flexible fiberglass reinforced deck work together to absorb bumps in the sidewalk, making it the perfect companion for any outing. 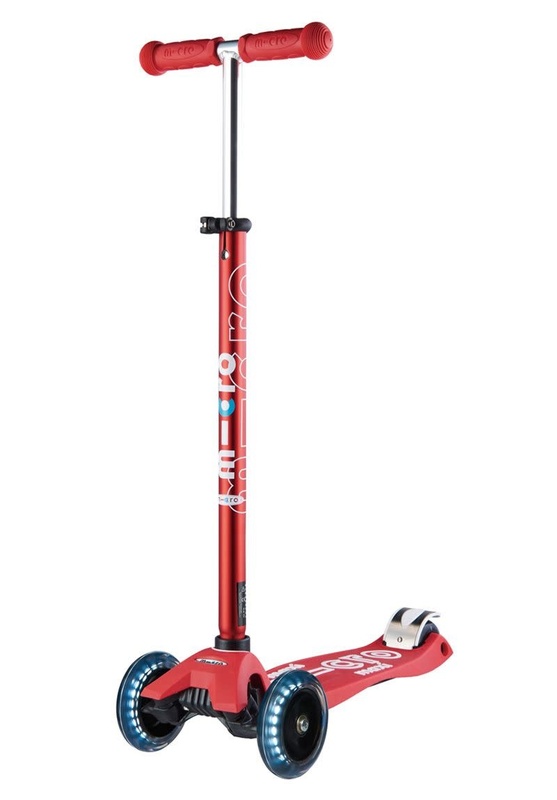 Impeccable Swiss engineering, thoughtful attention to detail and innovative design makes this a scooter to bring on every adventure! 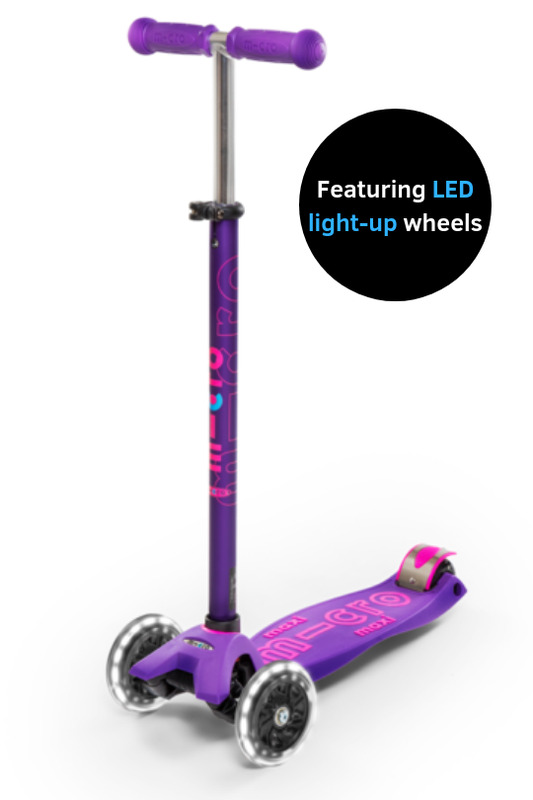 The company's proprietary lean-to-steer design is the safest and most fun way for kids to ride. 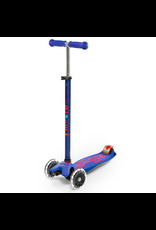 The T-bar provides stability as children steer by using their body weight to lean right or left. Safety certified by the CPSC, the Maxi Deluxe is recommended for children up to 110 lbs. It is always strongly recommended that children wear helmets and knee pads when riding.